Now that Homecoming is finally here and as we’re sure some of you may have seen, we have a tough new instance on our hands! Hopefully by the time you read this some of you may have braved the perils of the Dusk Melee and lived to tell the tale… For those that haven’t, we hope this quick easy-to-use guide will help you through! The Dusk Melee is a group instance for 12 to 32 player’s level 95 and above. Make sure you have a solid team assembled and you are ready for bear! 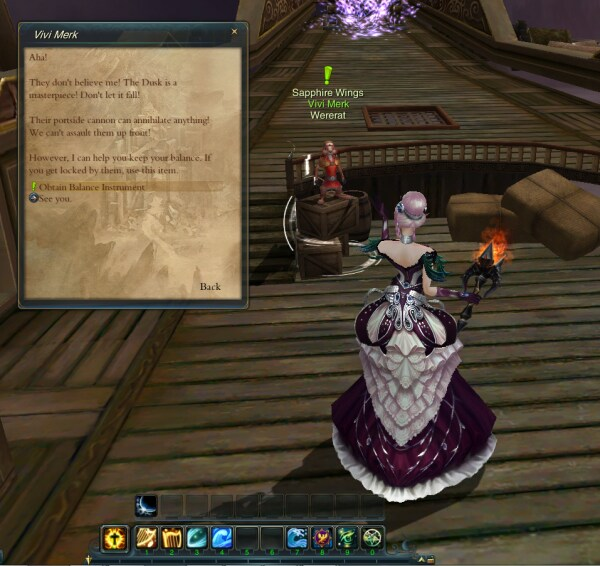 To Begin the instance please find the NPC Gill Silenttown aboard her ship just off the starting point in Sanctuary. You may choose either the Normal or Heroic modes for this instance. Once everyone has queued up, you are transported aboard Gills ship and ready to sneak onto the Dusk. 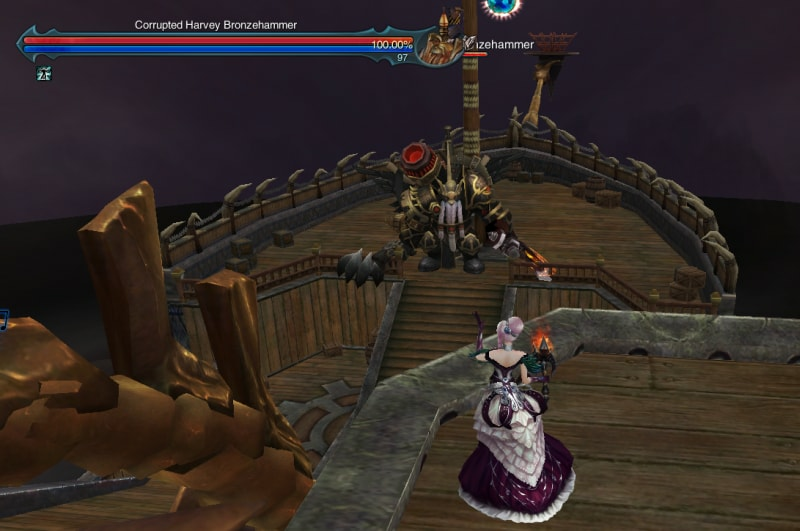 Make sure once you board Gills Ship to talk to Vivi Merk, the wererat to acquire a balancing tool for the battle ahead. 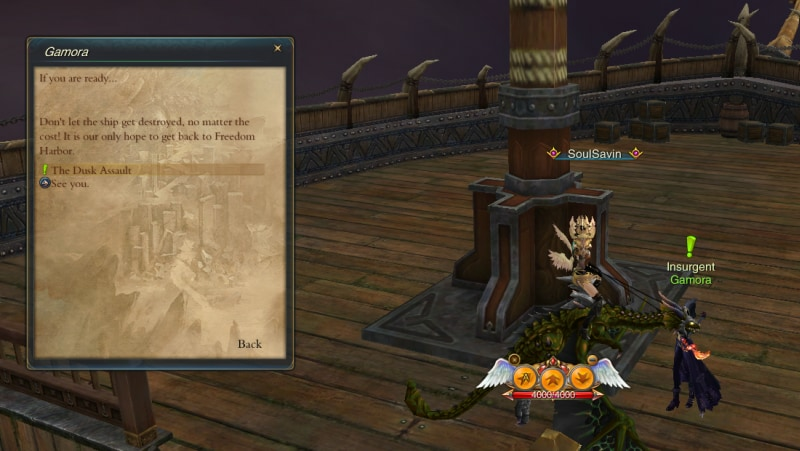 With tool in hand, walk into the swirling portal and jump on your flying mount… the battle is about to begin. To start the first phase of the battle speak with Gamora the insurgant, she will activate the cannons and the battle will begin. 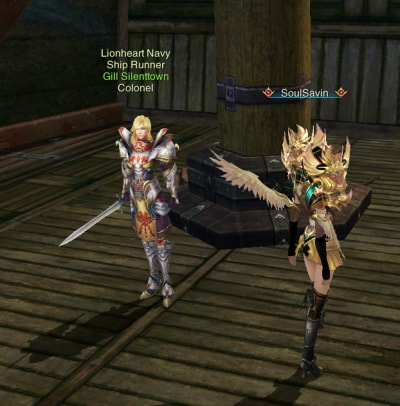 In preparation for the first phase, split your group into two teams: Port and Starboard. At the start of the battle large cannons will appear on either side of the ship. The trick is to maintain the ships balance and destroy a cannon and it’s opposite within 10 seconds of each other. This means if you destroy the front port cannon, you have 10 seconds to destroy the front Starboard cannon. Occasionally the system will call out a side with which the cannons will fire. If it calls out port, everyone needs to move starboard and vice versa. 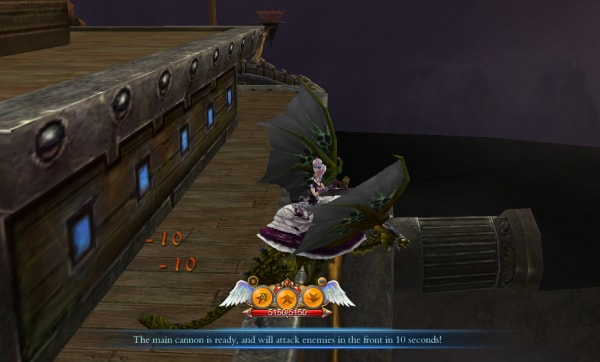 If a player is targeted, they need to move over to the deck because they will be knocked off their flying mount. After several rounds of moving port and starboard, you should have destroyed all four cannon and are ready for the Captain. Captain Bronzehammer is no slouch by any means. His single attacks hit hard and his AOE hits even harder. The battle will be fast and furious but there are 2 things to watch out for. First in the system messages, callouts will appear telling the group the ship is unbalanced either to the left or right. When this happens, move the entire group to the opposite side of the ship. If you can follow the system messages and keep on your toes, Bronzehammer will fall giving you spoils of war the like of which are unheard of! We hope you enjoy this look at the Dusk Melee! For more tips and tricks, check out more guides in our guide section! Keeper in Memory Orb and Small Panda Magic Box hop into the charge rewards for a limited time! Emerald Spring Orb, Summer Wind Orb, White Fairy Magic Box, Welkin Orb and Ocean Orb are on sale now! Don't miss out!